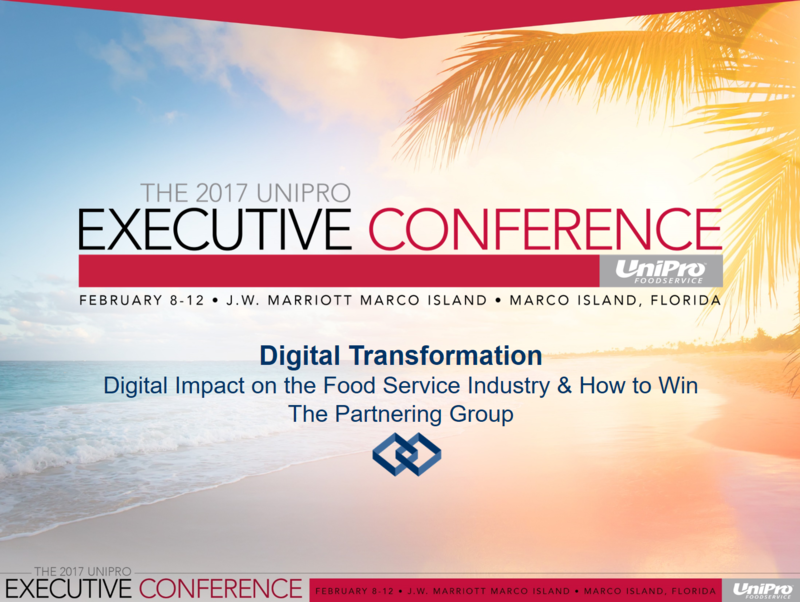 On February 10, 2017, The Partnering Group gave a strongly attended presentation on a key topic challenging the Foodservice Industry Today: “How do Distributors and Operators win in the Digital Age”. What are key players like Grub Hub, Uber Eats and Blue Apron doing to get consumer share of mind? 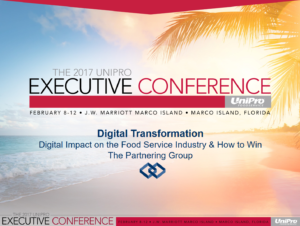 What approaches are traditional Operators doing to compete in an increasingly e-commerce universe? These and other key digital topics were tackled by TPG and industry executives asked questions in order to improve their respective businesses. If you’d like a copy of the presentation, please click below and request.